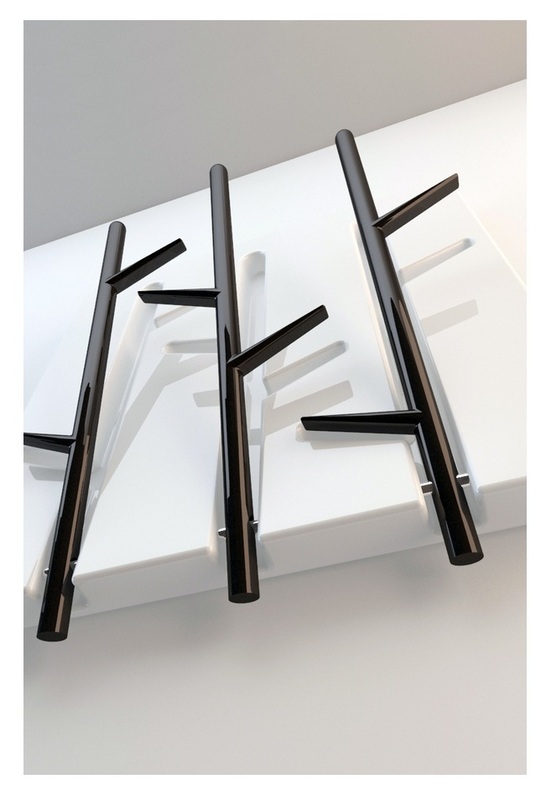 If you want to bring a modern vibe to your hallway this sleek Branch Hanger by designer Marko Vuckovic would perfectly complete a minimalist styled room. The hanger is still in concept form but it has a big chance at mass production. This young Serbian industrial designer has also art school, group art shows and several visual arts and design awards in his resume so we can say his approach to product design is personal and inventive. Other design projects by Vuckovic also mix nature and artificial into innovative products and installations. The Branch Hanger would be actually made from a single wood piece thus a sustainable, eco-friendly product if gotten from healthy tree trimming. Once the branches are cut off from the tree, a “mold” base is created in order to attach the branches. Well the images explain the idea a lot better. So when the Branch Hanger is not used, the branches can be pushed back into their base and you have a stylish wall decorating piece. How neat is that?